Apple's 'Browse' tag just got an update. 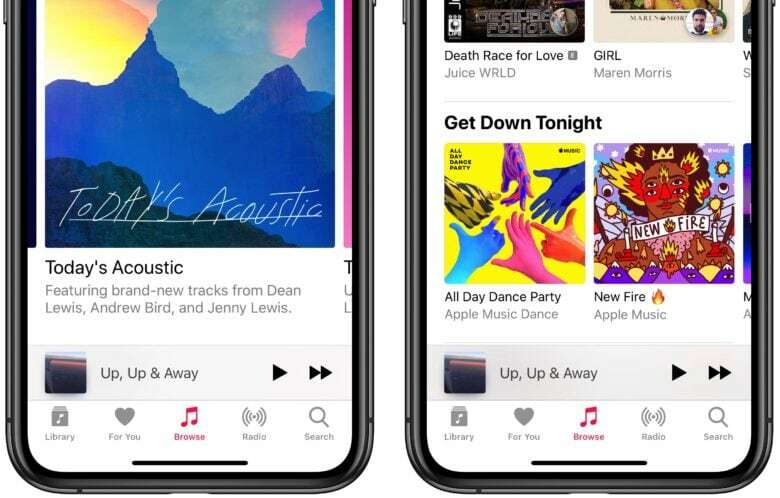 Apple Music has updated the New Music section of its “Browse” tag to highlight playlists from a variety of genres. While the UX tweak doesn’t fundamentally change the content of Apple’s Music app, it does make it easier to access some content. The UX tweak also highlights a “We’re Loving” section. This provides curated album selections made by Apple Music’s editorial staff. It additionally includes a curated section called “Get Down Tonight,” an “On Beats 1” section, and a “Coming Soon” section which highlights upcoming albums. The changes don’t enormously impact Apple Music functionality. However, they make it easier to navigate. This means users no longer need to navigate through menus to find this information. Given Apple’s push to promote its burgeoning Services division, it makes sense that the company would give Apple Music a polish. Promoting Apple’s curation services also makes a lot of sense at a time when some developers are asking exactly what Apple provides for the cut of earnings that it takes. Since curated songs likely mean a sizable boost to listenership, this is probably a sensible move.